Live in the Park, the free music festival being held in Vale Park over the Bank Holiday weekend, is set to be a great day out for all the family. Starting at noon on Saturday, August 29, 80s’ pop singer Toyah Willcox will perform on stage following eight and a half hours of continuous live music featuring many local bands and musicians, including Platform Soul, the ultimate soul, disco and dance band. Rob Casey, lead guitarist with Platform Soul, said: “We are very excited that Toyah will be headlining Live in the Park. It’s an honour to share the large outdoor stage with such a popular national star as well as a wide range of talented local artists. From her days as a punk princess, Toyah has worked as a stage and screen actress and composer. In a career spanning over 35 years, she has amassed 13 top 40 singles, recorded 24 albums and toured live across the world. In the park with her full live electric band expect to hear her hit singles, Good Morning Universe, I Want To Be Free and It’s A Mystery. 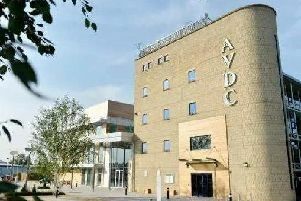 Stoke Mandeville Hospital Radio presenter Dez Kay will compere the event, which is organised by Aylesbury Town Council. In addition to the jam- packed programme of live music there will be a selection of traditional fun fair rides plus a mega slide for families to enjoy for free. Bars and numerous catering stalls will also be available to buy throughout the day for refreshments. The all-important music will begin at noon with El Bronson with their high energy rock, dance and Mexican-styled rock covers on the main stage. Singer-songwriter Kitty Roisin takes to the acoustic stage at 12.45pm with a mixture of indie/alternative with a hint of folk covers and originals. Other musicians on the programme include Whirlwind, known as the godfathers of British Rockabilly; and session guitarist and backing vocalist James Manders, who blends a healthy mix of rock, urban, Latin jazz and soul. The Synthetix will recreate music they love from the Punk and New Wave era; two-piece indie pop act Georgie Bird is influenced by everything from Kings of Leon to Ellie Goulding. There’s also Old Country Union covering American classics; solo musician Raving Wild; Bustin’ Loose covering all tastes from the 50s to the latest chart hits; brand new duo A Little Bit Country;Platform Soul; and Katie Buckhaven mixing folk fused with rock influences.